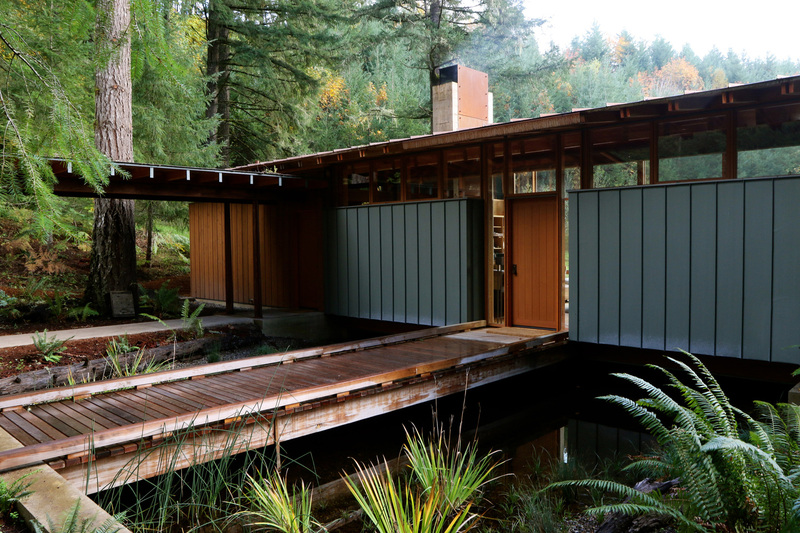 Here’s a fun house that doesn’t just overlook a nearby pond, but instead straddles it like a bridge. 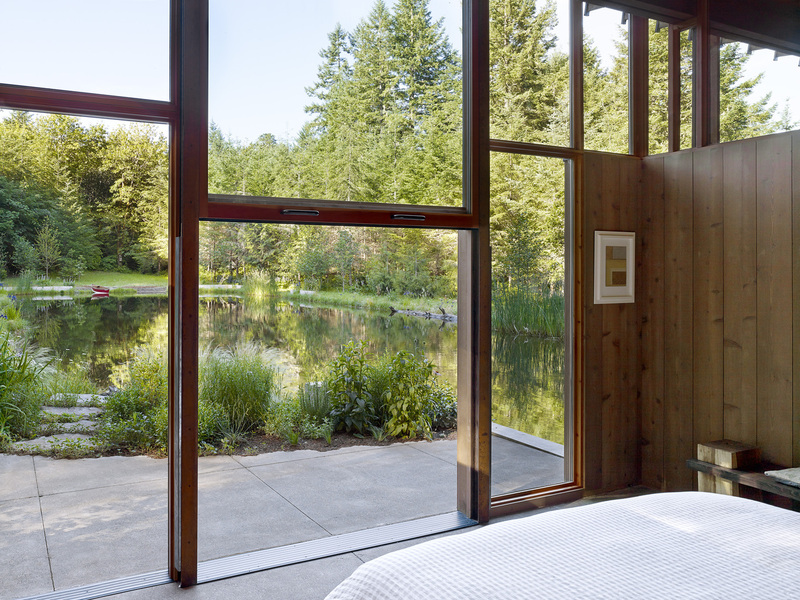 Somewhat reminiscent of both Tadao Ando’s Church on the Water and Frank Lloyd Wright’s Falling water, the house is not separate from the landscape, but rather interacts with it and powerfully invites it in. I’ve always been keen on the idea of crossing a bridge or threshold to get to the house, and here the connection to the water cannot be missed. Not only do you take a bridge to enter, but there’s a clear sight line straight through to frame the pond beyond. Stock still, the pond is like a mirror, reflecting the lush greenery that surrounds it and the house. 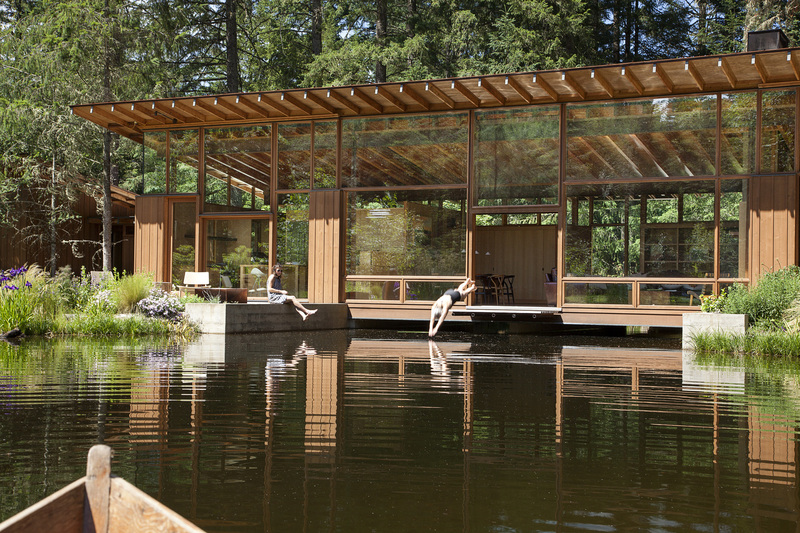 The house itself is a simple structure, with a shed roof that opens upwards and outwards towards the water. 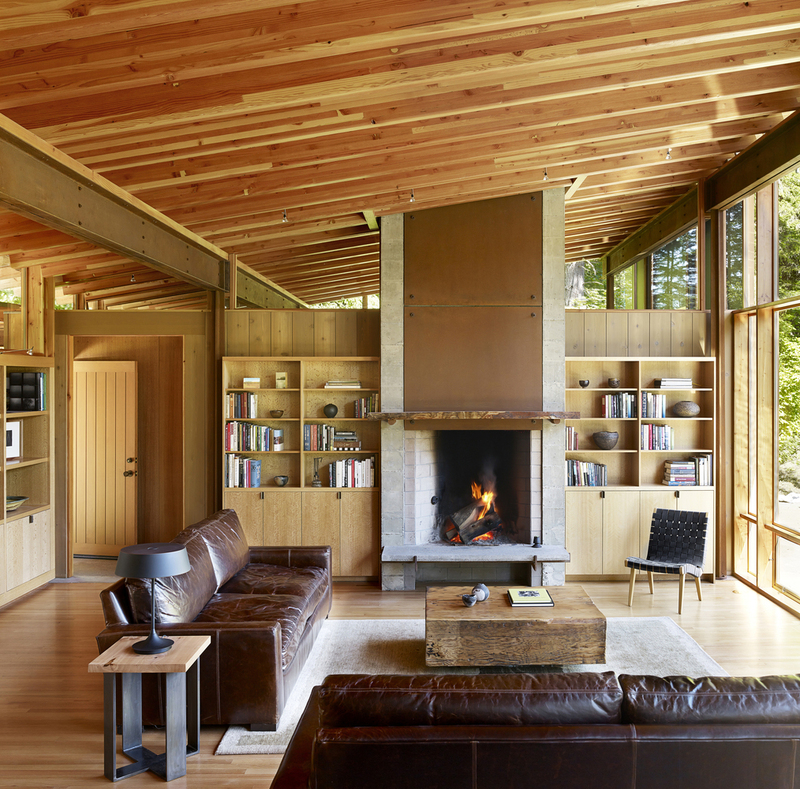 Warm wood and Mondrian-like windows create a very lofty feeling to the space. 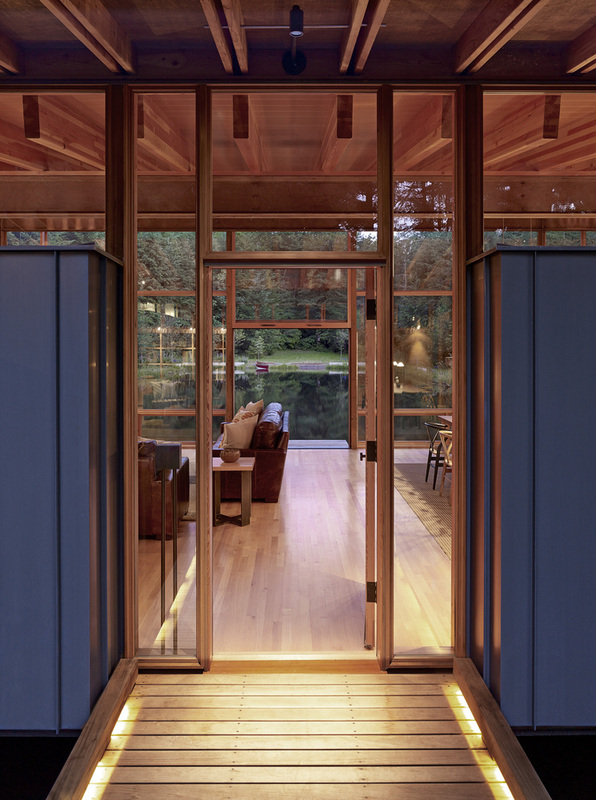 Walls are also not completely solid between rooms, with the upper quarter near the roof being framed in glass, and leaving the whole house feel unconstrained and open and airy. 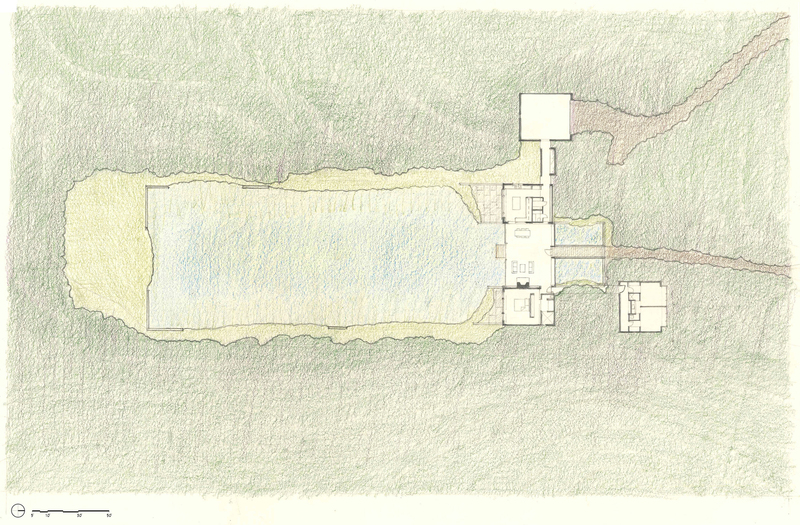 There’s a simplicity to both the layout of the house as well as to its form that I really like. It’s a bit of a simple cabin, but done with some sophisticated woodwork and artistic elements. 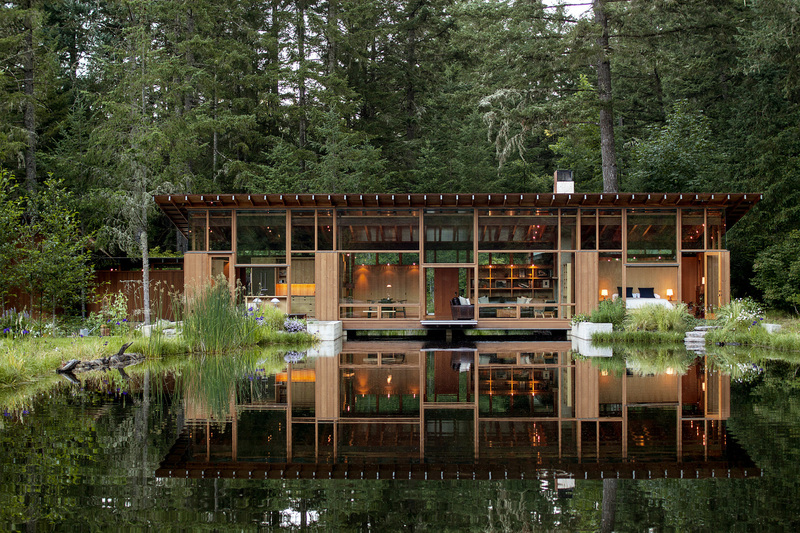 From inside and out, it plays very well against the backdrop of the pond and forest. Plus… bonus diving board right from your living room! 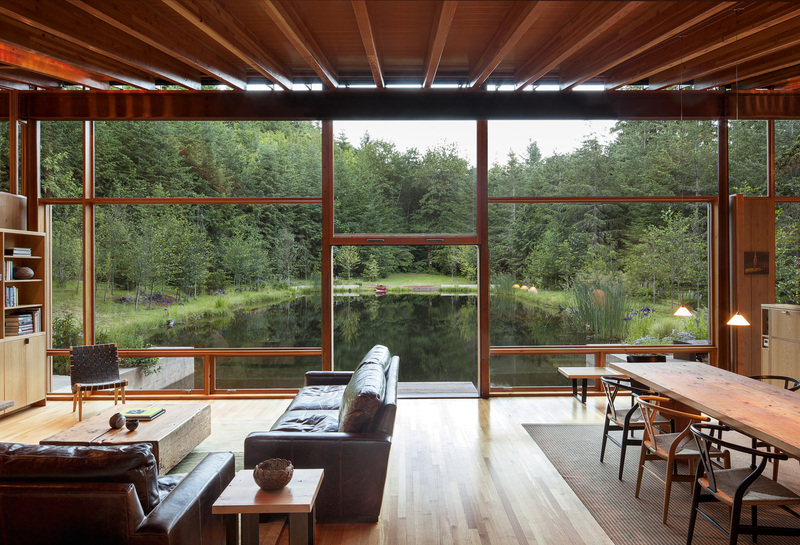 The Newberg Residence by Cutler Anderson Architects.